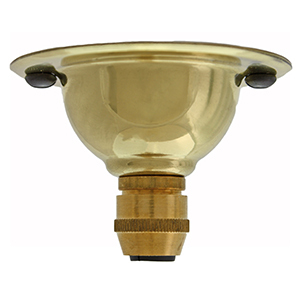 A light ceiling plate manufactured from solid brass here in the UK. Each unit is hand-finished in our studio to produce the unique antique patina. 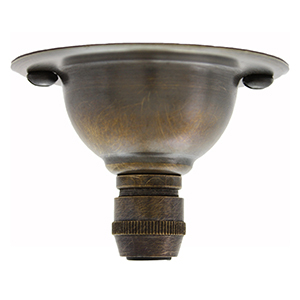 The antique finish on this mini ceiling rose is perfect for use with aged or distressed light fittings and perfectly complements darker braided cable. 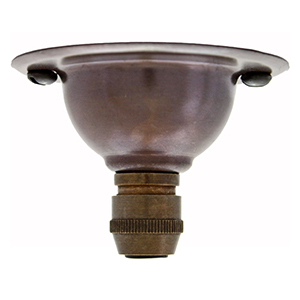 Each light ceiling plate comes with a matching brass cable grip that safely secures both round and twist fabric lighting cable. 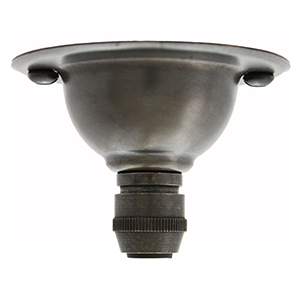 The BESA fixing holes enable attachment directly to conduit in commercial interiors. 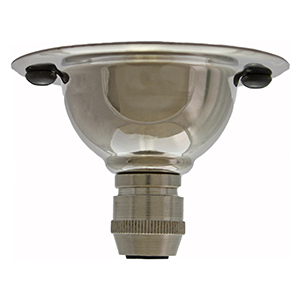 Due to the small size this pendant light outlet is not designed to house the electrical connection which will need to be made in the ceiling void or conduit. This ceiling plate must be earthed. An earth tag is located inside the plate for ease. Installation by a competent person only and in accordance with current regulations.